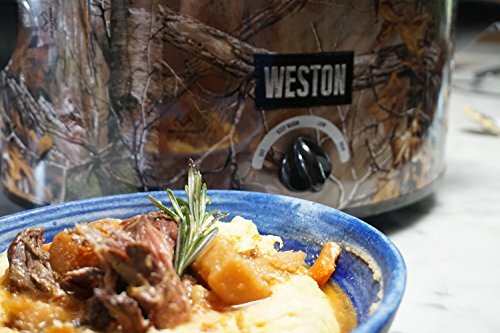 The Real tree by Weston 5 Quart Slow Cooker is the perfect way to bring food to a family gathering, a potluck or even a tailgating party. With the Lid Latch strap and gasket lid, transporting is mess-free. 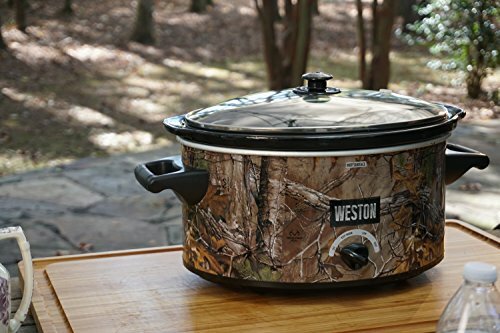 Slow cookers are great when life is busy, and you can come home to favorite ready to eat meals. Great for making soups, stews, dips, roasts and so much more! This oval shaped size will fit a 5 lb. chicken or two 2 lb. roasts. There are three convenience settings for high, low and keep warm cooking.